I recently sat in on a private pilot ground school taught by a highly regarded flight instructor. The instructor described the difference between a pilot who might be involved in an accident – an “average” pilot, let’s say – and a very experienced, accident-free pilot who has logged thousands of hours. He talked about the reasons one pilot might get by without any significant accidents while another - or perhaps the majority of pilots– might be party to an accident. What makes the accident-free pilot so good? How is he different from the average pilot? What can we emulate from him? There’s probably a lot we can gain from observing the accident-free pilot who knows his stuff. But we can begin by not settling for average. As pilots, if we settle for average, we’ll quickly become an accident statistic. We need to seek professionalism and knowledge, no matter our experience. We need to be curious. We need to keep our head in the game. Related: What Does a Proficient Pilot Look Like? 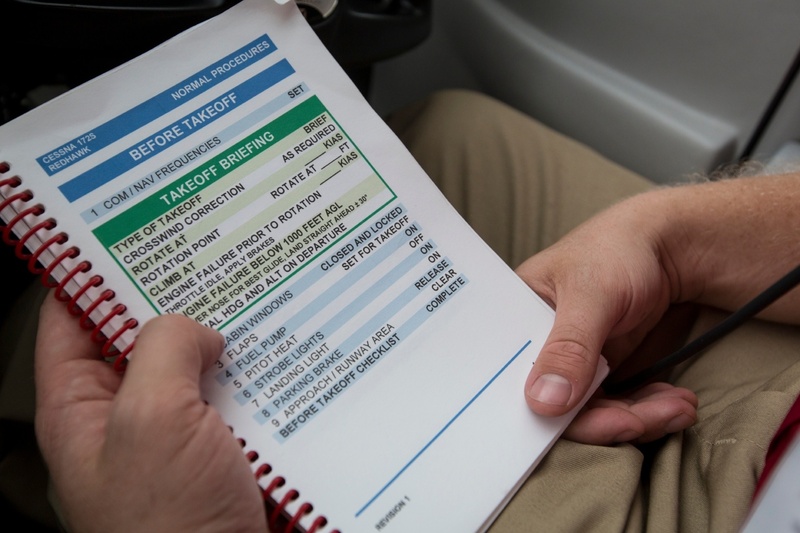 As flight instructors, we see a variety of pilots with a variety of skill levels, but one of the common things we see is a pilot who crams for a flight review. After not flying for a year or maybe five years (or perhaps flying badly for a year) a person will come in for a flight review with the general expectation that they will spend an hour on the ground and an hour in the air, be signed off by an instructor as being proficient, and hop into the airplane with his family the next day for a vacation to the beach. In reality, we sometimes don’t even get to the flying part. It’s our job as instructors to help non-proficient pilots see that proficiency takes more effort than an hour here or there every couple of years. Sometimes we feel bad for it, and sometimes we question whether we’re being too hard on people, but in the end, there is a basic human desire to come home safe and sound that trumps everything else. As an instructor, if you’ve ever watched a not-so-proficient pilot climb into an airplane with his wife and kids, then you know what I’m talking about. Taking flight reviews seriously is a duty that we sometimes fail at and often get chastised for. So what are the characteristics of an accident-free pilot? It goes far beyond good stick and rudder skills. As most of us know, competency and proficiency only gets you so far. Judgement, decision-making, and curiosity will get you further. The average pilot maintains currency. The accident-free pilot becomes proficient and, even after becoming proficient, seeks to become better. The average pilot will bounce a landing and be satisfied that he got it on the ground without crashing, noting that he did pretty well considering the gusty winds. The accident-free pilot will bounce a landing, realize he should have gone around, analyze why he made the decision he made, even call up his old flight instructor to confess and book a flight to do a few more crosswind landings, and he’ll vow to make a different decision the next time around. The average pilot will look outside, note that it’s clear, and head out to fly. The accident-free pilot will check METARs, TAFs, area forecasts, NOTAMS and TFRs, and will still call a flight service briefer to make sure he didn’t miss anything. And he’ll head out to fly knowing that conditions change, and he’ll check the weather along the way. The average pilot will perform the preflight checklist items, hop in ready to go, and then realize that the propeller is missing. The accident-free pilot will note that the propeller is, in fact, there, and that the color of the oil is different, that there’s a small crack in the horizontal stabilizer that wasn’t there before, that the oil filter is wearing on the bottom of the cowling, and that the Left LOW VOLT annunciator isn’t working. And he’ll make a solid decision about whether those things will affect the safety or legality of his flight. The accident- free pilot knows that checklist use is imperative to survival, will triple-check that the before landing checklist was complete and that his gear is down, and will still worry that he’s capable of landing with the gear up. The average pilot, after a cross-country trip with his family, will tie down the airplane, go home and watch T.V. The accident-free pilot will tie down the airplane, set a reminder to update the GPS, close his flight plan, go home and research that strange ATC clearance he received or that funky way the autopilot changed modes on him, and he’ll make plans to fly again in the local area to figure it out before his next big cross-country. The average pilot will blame any problems on weather, ATC or other circumstances. The accident-free pilot will work to understand his own role in problems that arise. The average pilot is satisfied. The accident-free pilot is not.